This recipe is inspired by a Turkish dessert with dried figs that are rehydrated overnight in black tea. 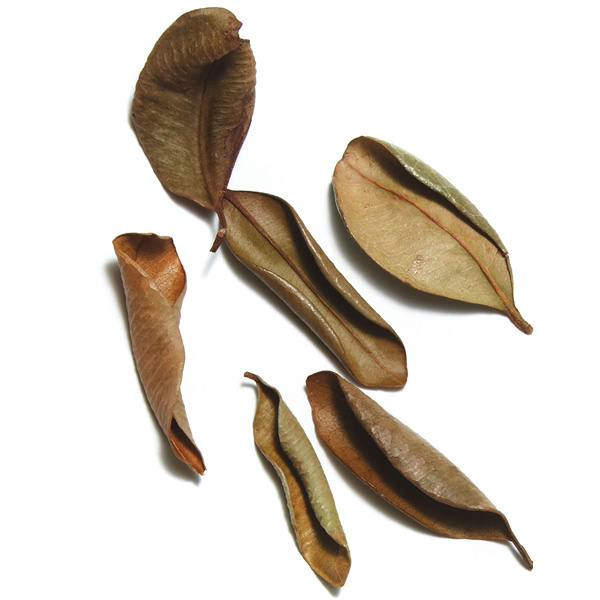 They are then opened, stuffed with nut, and placed in an oven dish with honey and bay leaf. After baking for 30 minutes, it can be served hot or cold. 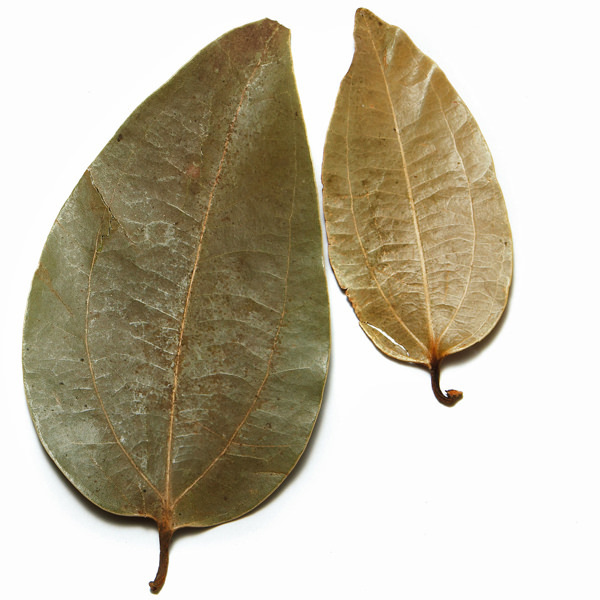 In both recipes, the bay leaves add flavor to the dish but are removed before serving. Place pie crust in a 10-inch pie pan. Sprinkle with flour. Halve figs. 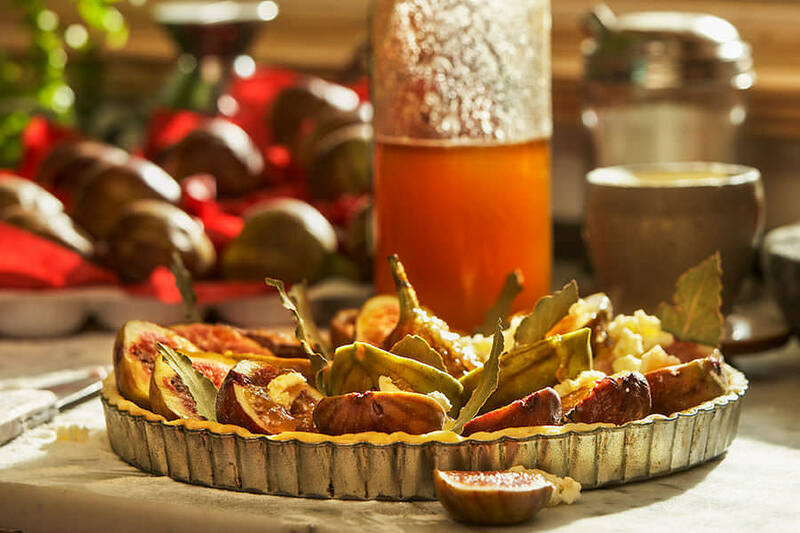 Arrange figs in the crust and stick a bay leaf between each half. Add nuts, butter, honey, and salt. Bake for 5 minutes at 400° F, then reduce heat to 350° F and bake for 15-20 minutes more. When the pie is almost cooked and a syrup is forming at the bottom of the crust, add pine nuts. Bake for 5-7 more minutes. Remove from heat and cool 1 hour. 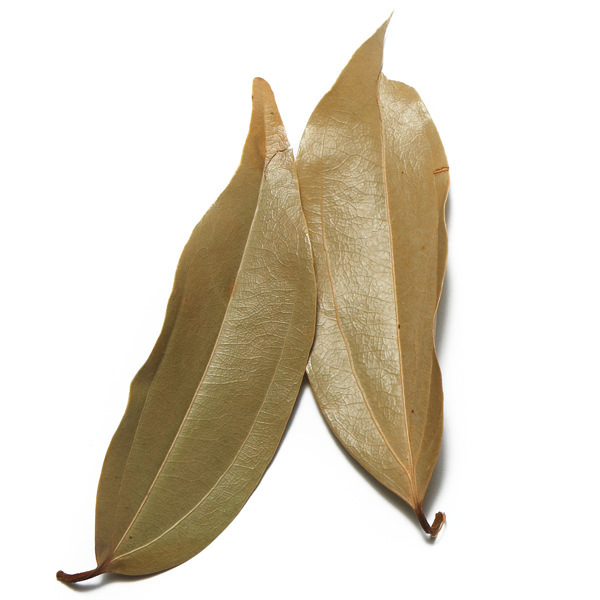 Remove bay leaves before serving.